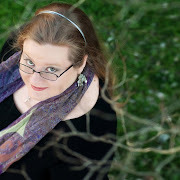 Beth Revis: HOURGLASS Launch! Celebrate and Win! I've gotten to know Myra over Twitter (sound familiar Bethie-loo? ; ) ) and believe wholeheartedly that she is one of the sweetest people I will ever have the pleasure of frittering my time twittering with. I cannot wait to read Hourglass. Have an unbelievable book launch and blurb-launch. I have been DYING to read Hourglass!!! :D I absolutely ADORE the cover! It looks so cool! :D LOL. So I have wanted to read this book since I heard about it at a conference in October! It sounds like it is going to be a great read! I pre-ordered a digital copy for my Kindle, but I'd love a signed copy from Myra. She's such a doll!! :) Thanks for hosting this giveaway. So glad its finally here. I feel like we have been waiting forever. Thanks for this fantastic giveaway! I'm dying to read this book, and oh-my-gosh the cover is gorgeous. Congrats to Myra on her release! I love the cover, it's so many things at once! Just watched the trailer and now I'm on my way to Myra's website. Thanks for doing this giveaway! Ever since I first read the description of Hourglass on Goodreads I have been not-so-patiently waiting for its release. I love the idea of a time slip novel - so mysterious. I've got to find out what it's all about. Thanks for hosting yet another fabulous giveaway, Beth. Thanks for the contest Beth. I am totally dying to read this. I cannot wait to read this book!!! Thanks for the awesome giveaway! I read it and it was SO AMAZING!! One of the best books of the year! I love the book trailer! It's beautiful. 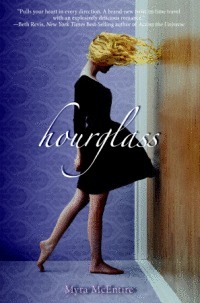 I've added HOURGLASS to my goodreads list, and I can't wait to read it! This book looks like a fantastic read. Thanks for the chance! Beautiful book trailer! I'm so excited to read this book! I've had it on hold at the library for quite some time waiting for its release! Actually, I also featured it on my blog today! This cover is so gorgeous & I've heard many good things about the book. Can't wait to read it! Thanks for the giveaway! I want to read this NOW. So much so, that I may just head to the bookstore at lunch. Seriously...beautiful cover, beautiful trailer...it's got to be a beautiful book, right? I have loved this cover since I first saw it. (I am a sucker for a great cover) And after watching the trailer, it is a must read! Thanks for the giveaway. Sorry--I saw the US only too late, so take me out of the running on this one. I really, really want this book. The cover is so amazingly incredible and screams of something being not quite right. I love it!! I've been hearing such great things about Hourglass. I can hardley wait to read it. I need a copy ASAP! I have been dying to read this one and after that book trailer I'm even more excited! Squee! I've been waiting for the release of HOURGLASS for what seems to be forever -- can't wait to actually have it in my hands soon! Ooh I must read and then tell a friend who loves that kind of thing about it. She's always asking me if I know of books dealing with time travel! The book trailer is very intriging. I can't wait to read it! So maybe I have already read this book. And maybe I thought it was so fabulous that I had to enter a contest to get a signed copy...I think that's how this happened. Congrats on your Book Release Myra! Thanks for the contest Beth and Myra! Thank you for the amazing chance to win. I want to win this book badly! lol. every time I see it up for grabs I enter, haven't gotten lucky yet.... crossing my fingers!!!! I waaaant this book right now. I've heard such great things, and that trailer really makes me want it! Thanks for the contest, Beth and Myra! Oh. My! I already wanted to read this book as soon as some of my author friends started talking about it. 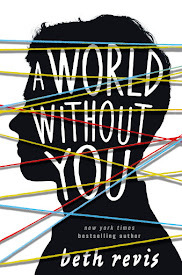 The cover is AH-mazing and the premise is too!!!!! The trailer... i'm at a loss for words and there are goosebumps!! Goosebumps, i tell you. HUGE ones!! There's been so much hype about this book... I really want to read it! Thanks for the giveaway! Thank you so much for the giveaway! I have heard so many great things about this book and am so excited to read it! Hourglass sounds amazing. And that cover. Beautiful. Awesome. I've been trying to win Hourglass in various giveaways all day, so hopefully this is my lucky shot! I am so excited to read it!!! The cover and trailer are amazing. I've wanted to read this book since I first read an early review. It looks awesome. This book was simply amazing! I devoured it, I loved it so much. Everyone NEEDS to go pick up a copy and read it! MMmmmMMmmm Michael and Kaleb. Yum. Congrats!!! And that trailer is...wow...gorgeous. I can't wait to read this! Thank you so much Myra! 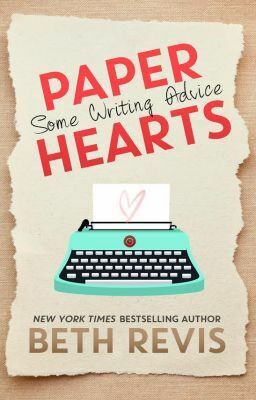 I added this to my Goodreads. It sounds AMAZING. Romance and time travel? Heck yes!! I love that cover. I want to pet it. I can't wait to read it! It sounds awesome, and the book trailer is way cool! I can't wait to read Hourglass! that trailer was so awesome! I'm kind of a time travel freak. Congratulations, Myra!! I just ADORE Myra and Hourglass was absolutely amazing!! One of the best books I've read this year and I can't wait to see what happens next! This book looks FANTASTIC. Not to mention that I'm in love with the gorgeous cover <3 I really, really can't wait to read it! More hugs and thanks for all the kind words and excitement! I hope you enjoy reading it!! This book was AMAZING. SOooooooooooooooooo good. If you haven't read it yet, go grab a copy SOOON! P.S. Congrats on your first blurb Beth! P.P.S. I apologize if I entered more than once.